Brand new to the rental market as of 2019, be one of the firsts to stay in this lovely oceanfront vacation rental! Take in the spectacular ocean views from inside the house, the large back deck or pool area. Enjoy your morning coffee or evening cocktail watching for dolphin and listening to the comforting sounds of the waves right from the property. This home, located at 100 Surfsong Road, features a reverse floor plan to maximize the views of Kiawah’s beautiful beach. Guests will enjoy staying in this over 4,000 square foot home with 5 bedrooms, 5.5 bathrooms, two living areas, a private pool, spacious back deck, outdoor shower, direct beach boardwalk access from the driveway, and unique ocean and beach views. From the moment you step foot in the living area, you will be enticed by the blue waves right outside. Enjoy the amazing views while relaxing on the sectional sofa and two cozy chairs. The room also features a 70” flat screen TV and access to the back deck. The large kitchen features stainless steel appliances, 3 ovens, plenty of counter space, and is equipped with everything needed to enjoy a meal while on vacation. The eat-in area and separate dining room each seat 8 for dining. You can also enjoy a meal dining on the open-air deck while soaking in the beautiful beach view. Also, upstairs is a master bedroom with a king bed, flat screen TV, and a wall of windows to enjoy the view. 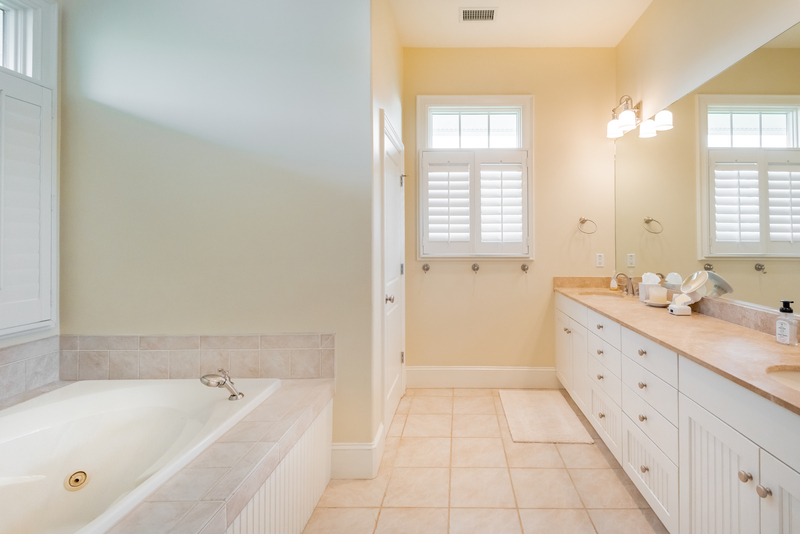 The spacious master bathroom features 2 sinks, ample counter space, a whirlpool tub, and walk-in shower with Grohe shower system. A half bathroom completes the top level. Downstairs, you will find the remaining 4 bedrooms and a second living area with a flat screen TV. The first bedroom features a king bed, TV, and a newly remodeled bathroom with rain shower system. Two of the downstairs bedrooms both feature a queen bed and have private bathrooms with a shower/tub combo. The final bedroom is great for kids as it features a twin over twin bunk bed with adjacent bathroom and walk-in shower. The unique ocean views the home provides are truly special and will be enjoyed by all who stay here! With direct access to the beach boardwalk from the driveway, guests can easily enjoy time at the beach. Afterwards, take a dip in the refreshing private pool, relax in one of the pool's lounge chairs, or enjoy a nap in the hammock. 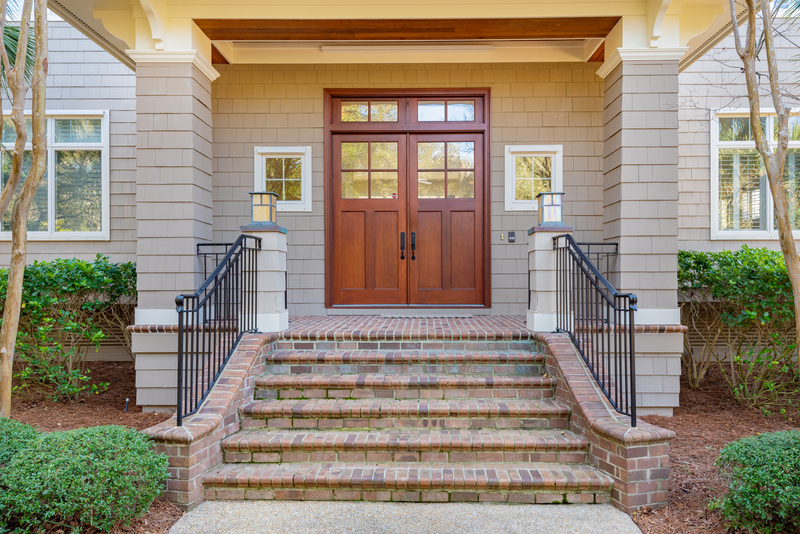 This home is perfect for families or friends looking to spend some quality time together enjoying Kiawah Island! The home is equipped with beach towels, washer, dryer and high-speed wireless internet. Guests do not have access to the garage. During your stay on Kiawah Island, be sure to enjoy biking on the 30 miles of flat bike trails, golfing on one of five world-class courses, playing tennis, crabbing, fishing, swimming, and boating. Kiawah Island is about 40 minutes from historic Charleston, famous for incredible shopping, galleries, and more! RESERVATION PROCESS: Your reservation is not confirmed until you return the Akers Ellis Rental Agreement. This document will be sent to you via email within a few hours of making your reservation. You need to review & electronically fill out and submit the agreement within 24 hours. Once returned, Akers Ellis will collect payment & send you an email. Our third time staying here, we just love this house. Perfect location on the island, amazing ocean views, and our teens loved the bonus area downstairs. Being steps from the beach is ideal, especially with small children and grandparents. Awesome family reunion, watching the dolphin swim by while eating breakfast was a highlight! Great house for families. My husband loved the hammock for afternoon naps. Enjoying our evening cocktails while watching the sunset from the deck was a highlight. We even saw deer on the beach! Super location, loved being steps from the beach. It made it so much easier with the kids!